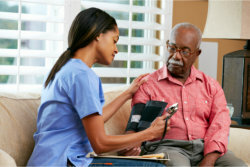 Our nurses are all licensed and state certified to provide our clients with the best home health care services. You can be sure that we only employ the best nurses. If you wish to avail of our skilled nursing services, please call us today to get started.